William Faulkner has been on my to-read list for years. 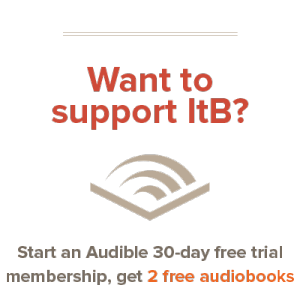 He pioneered the stream-of-consciousness technique of writing (along with Virginia Woolfe and James Joyce, also on my to-read lists — it’s a long list), and his books are “classics” with really fantastic-sounding titles. As I lay dying is thought by many to be his best work: he famously wrote it in six weeks and didn’t change a word of it after writing it. I dove in with high hopes and few expectations. Read on for more. As I Lay Dying tells the story of Addie Bundren’s death. After her death, her husband, sons, and daughter feel an obligation to bury her in her hometown of Jefferson, Missisippi, so they place her coffin in the wagon and set out on the trip. Flooded rivers, washed-out bridges, and mistrusting townsfolk detain them as they push to bury their wife/mother and come to terms with her death, each in his own way. Though the main character is Darl Bundren, Addie’s son, the book is narrated from fifteen different perspectives. Faulkner’s stream-of-consciousness is genius. The reader is thrown into the beginning without a clue of what’s happening or who everyone even is. It takes a good forty pages to even keep the character names straight. Within that time, Addie dies, and every single other chapter is marked by that event. Faulkner’s point-of-view inside the head of every character is remarkably intimate, giving him leeway to write on human nature, grieving, and loss. But really, what makes the book such a fantastic read is how little the actual death springs up in each character’s mind. For most chapters, it overshadows everything but is very rarely brought out explicitly. I was impressed by Faulkner’s command over the distinct voices of each character and how clearly he brought out their feelings and dreams in half-spoken, implied sentences. Contrast Darl’s elevated, poetic voice: heavy on landscape descriptions and ornate wording; with Vardamon’s nonsensical, child-like grief: “My mother is a fish.” The plot is almost secondary to sitting inside a dozen heads for several hours, feeling their feelings and thinking their thoughts. It speaks a lot about human nature, echoing the selfishness and pain instead of bringing it out directly. Even more so, it says a lot about Faulkner’s talents and understanding of human nature, to be able to write in such a way. 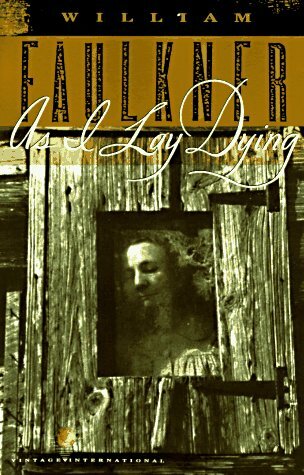 If you’re looking for material on grief, death, As I Lay Dying is a great fit. Hope is in shorter supply, but for half of human nature, at least, Faulkner’s classic is a deep-speaking story. It’s a remarkable evolution of the novel, and I’d recommend As I Lay Dying as a great intro to a classic author and twentieth-century writing style. I just started reading this and the style of writing tempted me to give up. Now that I’ve read your review and have an idea of what I’m getting myself into, I’m excited to stick with it. Good review!